We are involved in design, development and manufacturing of high quality and cost effective solar products. 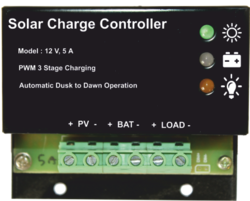 Solar Charge Controller with Integrated AC Mains Charger for CCTV, DTH etc. 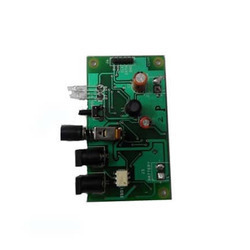 All solutions are Microcontroller based, with high efficiency and reliability, suitable for Lead Acid as well as Lithium Batteries. 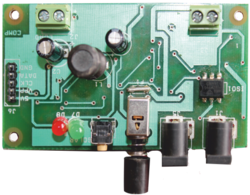 We are involved in design, development and manufacturing of Zero drop Microcontroller based PWM/MPPT Solar Charge Controllers. Kindly contact us for detailed technical specifications / datasheets of particular models. 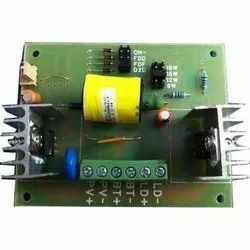 Owing to perfection and quality oriented approach, we are involved in offering a high quality Solar Charge Controller with LED Driver. In tandem with predefined industry standards, this controller is manufactured using quality assured components and innovative technology under the direction of our deft engineers at our well-established production unit. Apart from this, we offer this controller in various specifications at a budget friendly price to our prestigious clients. Solar Home Light Kit available with lead acid and liion battery. 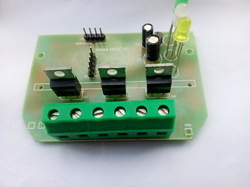 Solar LED Lantern Controller with Idle Current Zero. ü Solar Charging with upper cutoff even when the main switch is off. 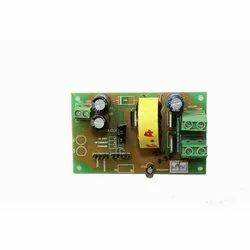 ü Option of limiting output current, for high consumption load like DC fan. 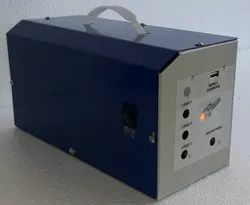 ü Input 12 Volt systems, Max 5A solar. ü Idle current: Practically NIL (< 0.5 mA). ü Input 12 Volt systems, Max 75W Solar Panel. 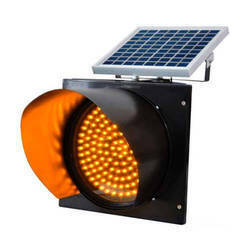 We are an eminent name amongst the clients in offering wide quality range of Solar Traffic Light Blinker. This traffic blinker ensures clear visibility even during adverse weather conditions. The offered assortment has gained exceptional value all across the markets owing to its durability and unmatched quality. Our blinker can be availed at rock-bottom prices within the stipulated time-frame. Keeping in mind the diverse requirements of clients, we are offering a premium quality range of Solar Lantern Circuit with Mobile Charging that is widely used in homes, offices, industries, etc. The offered circuit is perfectly manufactured under the stern supervision of our dexterous engineers using superior quality components and ultra-modern techniques at our sound production house. For ensuring its excellent quality, this circuit is rigorously tested on numerous quality measures in sync with set industry standards.